I am not an Etsy expert, but I wanted to share a few thoughts that I have come to realize over this past year. And I am sure if you went in to creating a shop after doing some market research, a lot of this would be already known to you. But I just jumped into running my shop, feet first with a blindfold on… just wanting to see what would happen. Since I’m just coming out of a booming few weeks for my little shop… i.e. doubled my total sales in less than 2 months (!!! )… I’ve been reflecting back on times of struggle and lack of movement in the shop. Just a few weeks ago, I was feeling bummed that my sales were down and then boom, now I’m struggling to keep up! It’s only just now calming down and going back to normal. I’ve definitely noticed that there seem to be cycles in the Etsy world, especially when a lot of your clients are brides. But I hope the following random bits of wisdom can help in any Etsy business, whether wedding related or not. When you’re first starting out, just say yes. Yes to custom requests that is. They may be a little more work for you in the beginning but I can vividly remember a few custom requests that came in that drastically changed my business. The first one was last November when a woman wrote me saying that she liked my address stamps but just wanted their first names written out with a typed out last name. So basically an address stamp with no address. Well that sounds easy, I can do that no problem I told her. Without realizing it, by saying yes to her and then posting this new product in my shop, I’ve now sold over 25 of them. But I had no idea that was even a need to fill, until I was asked to fill it. List things that you wish were out there. Here’s another product that I had no idea was already out there. 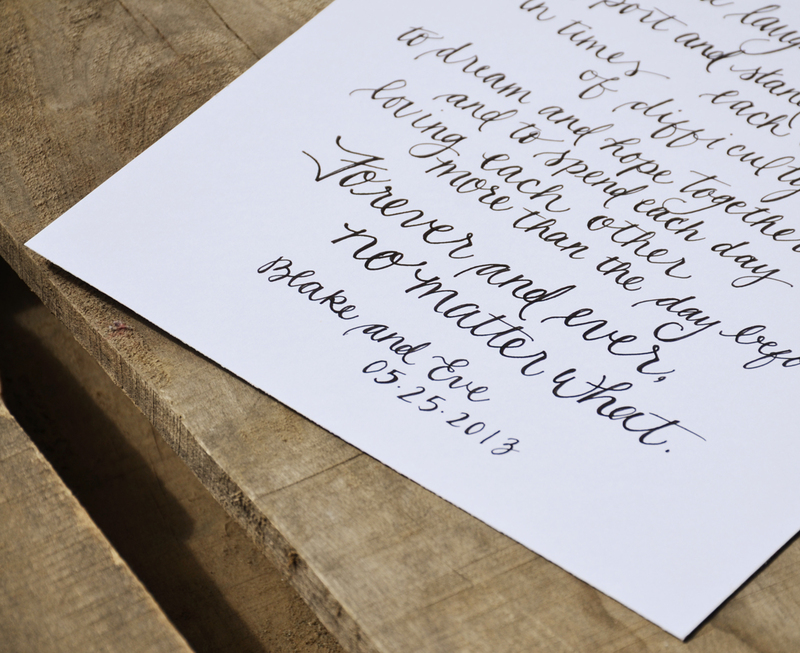 I wanted to hand write my own wedding vows so I thought, hey, maybe other people do too! 33 sales later, with three options to choose from, I can say that my shop is definitely leaning in this direction over the sale of shower invitations that I had first listed, and started out my shop with. 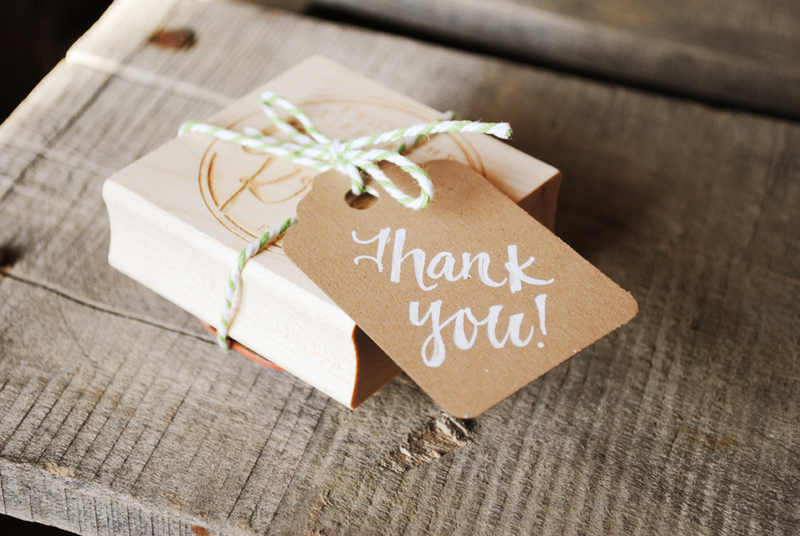 List a variety of items… It took me a month to get my first sale and that was for a invitation printable. 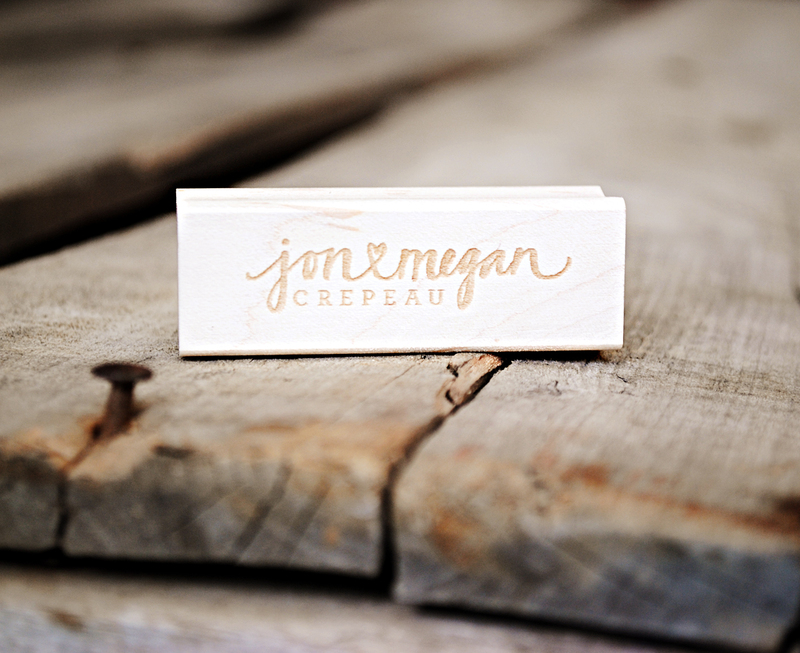 But it took my listing the original address rubber stamp for me to get more frequent orders. After being open for over 6 months, I had just barely reached 50 sales. Of course, that was still a major accomplishment for me! And then sales really started to pick up even more after listing the handwritten wedding vows printables. Now, a little over a year later, I have over 70 items with an average of 50 sold items a month! And a variety of all is bought on a daily basis, there is no “one shining star” but a few in each category… to me, this just says that if I stuck with just printables, or just stamps, I would not have the same quantity sold (However, the downfall of that is less time to perfect the existing items). What if you only have one item to sell? Can you make more of a variety, or add items that are somewhat related? 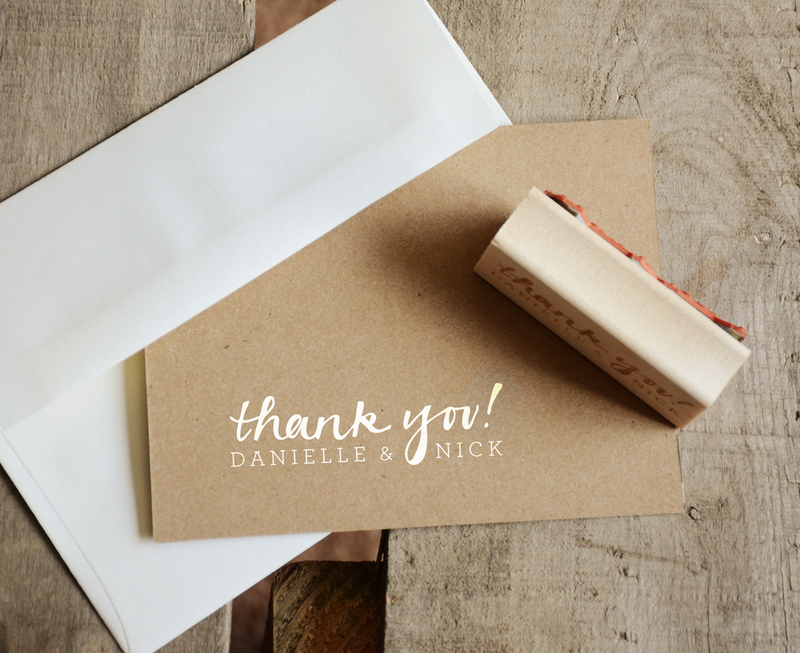 For example, I started with address stamps and then moved into “thank you” stamps, then just plain name stamps, because that’s what people were writing and asking me for. It just kept growing, all stemmed from just that one item. I also click through when someone “favorites” one of my items and see what else they are “favoriting.” Doing that, allowed me to see what else people are shopping for and who my direct competition is. This led me from just selling a stock Thank You! stamp and adding personalization options… all because I saw that the people liking my stamps also liked a personalized stamp which I wasn’t offering at the time. And then while looking at your competitors shops, notice how they feature their images. For some time, I primarily just showed a photo of the stamp itself. While the stamps are beautiful, wood engraved with the design, I began to notice that for the most part, all other shops just showed the stamp design/impression… not the stamp itself. 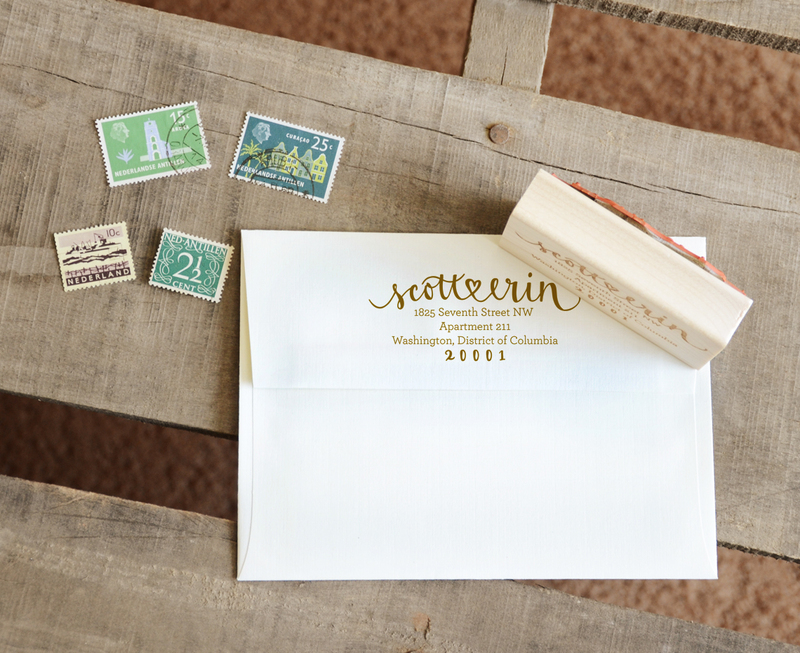 That led me to start taking a bit more time styling images with envelopes and tags, showing the variety of uses for the stamps. Then using that photo as the main image, but the thumbnail shows a slightly cropped in view of just the design. Best of both worlds, right? Chances are, your shop will have a boom, then slow down, then increase in sales again… over and over again… when it’s slow, don’t panic. Take a deep breath and use that time to better your shop. Add photos of projects and finished pieces to the listings, and improve your listing descriptions. Go back and check those other favorited listsings I mentioned before, see how they’ve worded things and see what else they have for sale. Brainstorm new products you can offer. Or just enjoy a break, kick back and relax! Wow… guess I’ve learned a lot, didn’t realize I would have so much to say in this post! Again, I am not an Etsy expert by any means… my measly 300+ sales are nothing in comparison to other shops, but each sale I am definitely proud of as there is a ton of shops like mine out there to choose from! Most of these are just good practice, and may not lead to a growth in sale, so take my words with a grain of salt, and know what works for me may not work for you. But by trial and error, keep what works, and move on from what doesn’t! I’d love to connect with you! Do you own an Etsy shop or thinking about opening one? Leave a comment below!